Here’s our story about how two architects discovered their home restoration labor of love over a cup of tea. A beautiful, stately, historic home in Dallas, Texas, called the Alexander Mansion, caught my eye in 2011. Neither of us had the foresight to see at that moment, what a wonderful organization or restoration project we were walking into, but we are immensely glad we did. Holly and I have been devoted volunteers on the board of The Dallas Woman’s Forum ever since. Dallas entrepreneur Charles H. Alexander built the 12,500 sq. ft. mansion in 1904 at 4607 Ross Avenue, Dallas, Texas. He was the owner of the Dallas Ice Factory which produced 150 pounds of ice daily. 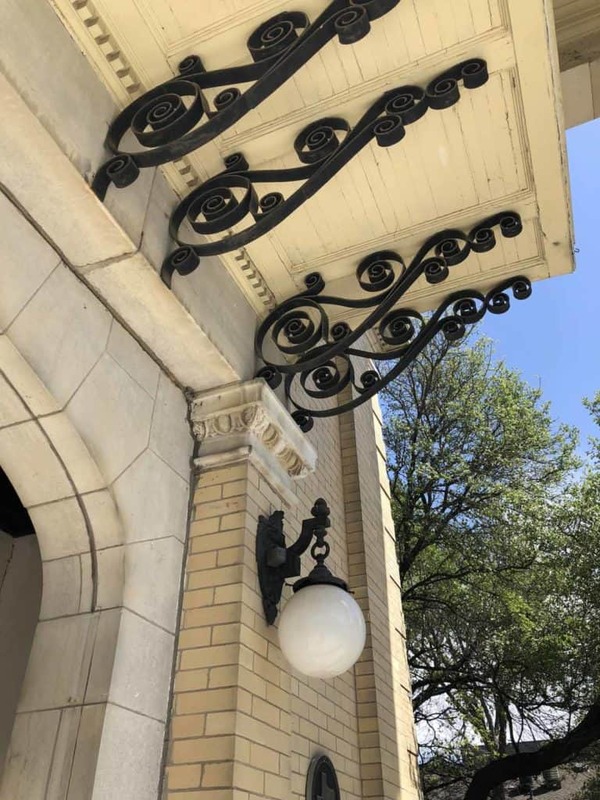 He also headed the Dallas Consolidated Electric Railway System, which electrified Dallas’ transportation system at the turn of the 20th century. Under his direction, Dallas evolved from buggies to streetcars, a feat that earned him a half-million dollars. While a notably successful businesses man, he was also notorious as he was acquitted of two murders — one of which was a former business partner. It took Alexander two years to build the home. As he was getting his family settled in their new house, unbeknownst to him, a group of women was simultaneously organizing to form The Dallas Woman’s Forum. It was the first departmental women’s organization in the state of Texas, and it began even before women could vote. While the organization was growing, the mansion passed hands to only four owners and ultimately purchased by The Dallas Woman’s Forum in 1930. The Dallas Woman’s Forum is a very active influence in the Dallas community working to help women and children. To this day, it is headquartered at the beautiful Alexander Mansion. 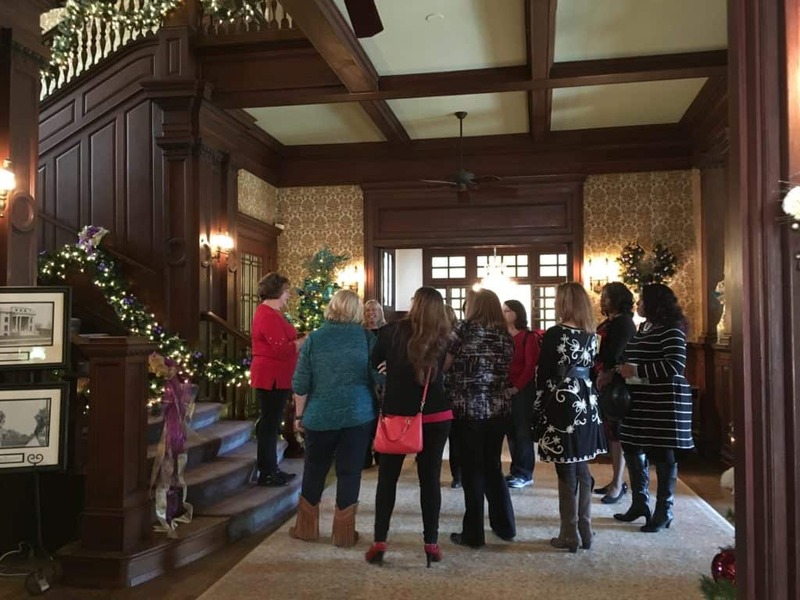 The group has the dutiful job of maintaining the mansion, and hosts events there to help fund their service efforts and keep the beauty of the building alive. 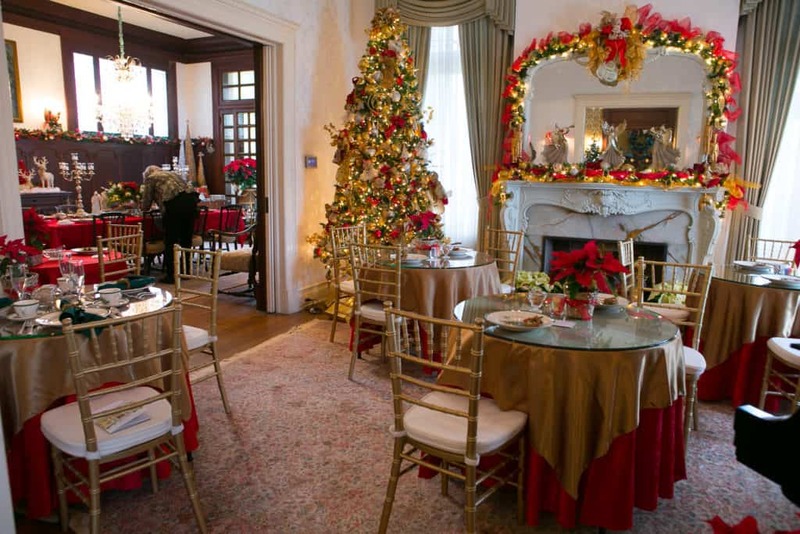 They also open the mansion to non-profits for meetings and to its members for special events like weddings. The mansion is also opened multiple times a year for the public to see. The Alexander Mansion is the only mansion left in its original condition remaining on Ross Avenue. 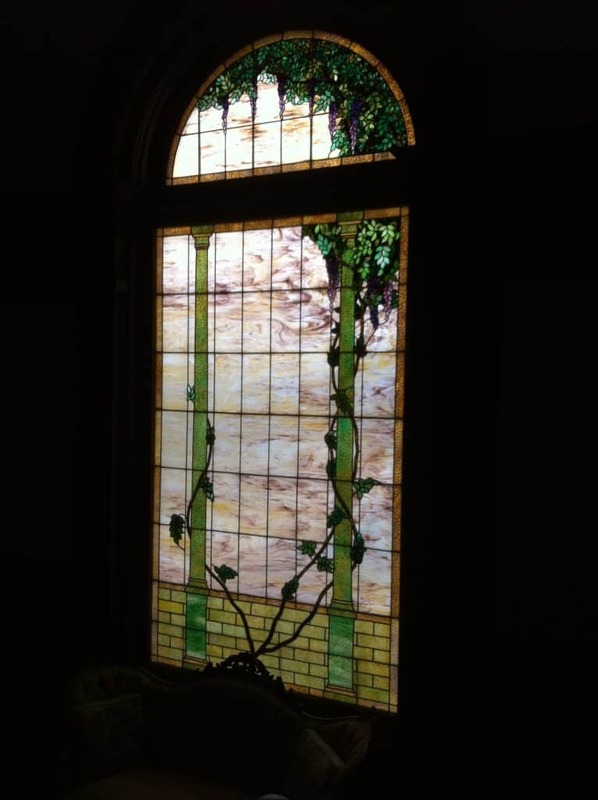 It still has its original light fixtures, mirrors, tile, iron castings, wiring in its walls, and even the icebox that could be accessed from outside of the home. It has several beautiful stained-glass windows, hand-carved molding, seven fireplaces, an incredible shower in master bathroom with a multitude of spray heads, and a sweeping staircase that splits into double flights. 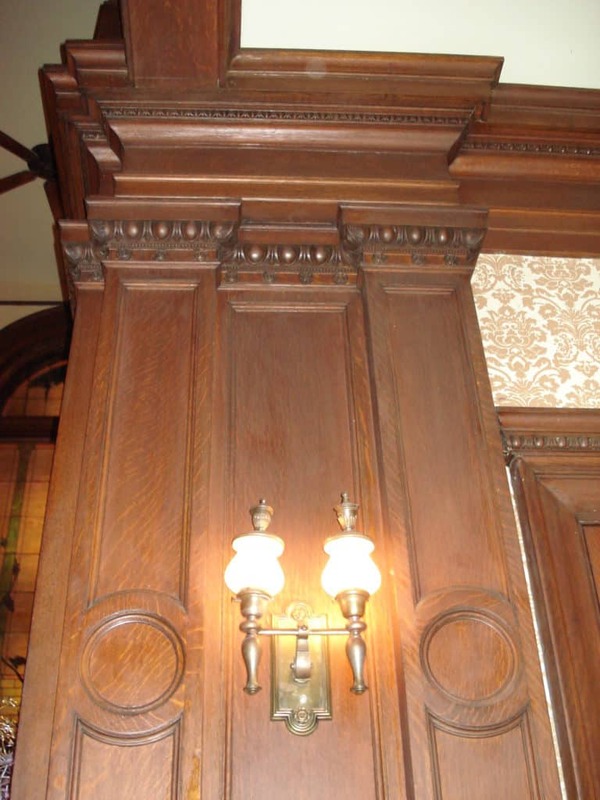 While a decorative renovation was done in the 1960s, no restorations to the mansion have been accomplished until recently. The mansion’s Beaux-Arts style roof was leaking, which caused extensive water damage. There was rot of the original wooden windows, cracking plaster on the ceilings, and mortar falling off of brick walls. The mansion recently received a new roof, ceilings were repaired, and the stairway and butler’s pantry were repainted. The Dallas Woman’s Forum is at a pivotal point in its fundraising efforts to continue restoring the mansion. Significant contributions of time and materials have been donated to date for the restoration process. 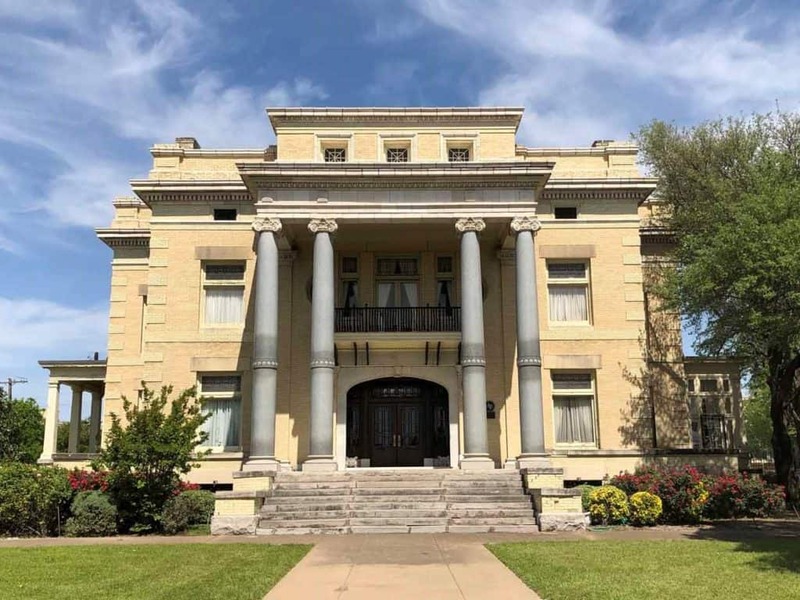 A main focus of the upcoming fundraisers is to raise money to add a wheelchair ramp at the front entrance of the mansion, repair plaster and woodwork inside, and upgrade air conditioning systems. The Dallas Woman’s Forum is also working on the application to have the mansion listed on the National Register of Historic Places. If you would like a checklist of how to approach a restoration effort of a historic house, CLICK HERE for 6 Tips for Starting a Home Restoration Project. You can help support fundraising efforts by attending one of the upcoming holiday events hosted by the Dallas Woman’s Forum. Come join Holly and Laura as they volunteer at these holiday events. You might even have one of them be your tour guide during the Home Tour! European Holiday Tea Room – December 5-9 & 12-16, 2018. (The Dallas Woman’s Forum has created a specialty tea for this event called Caramel Almond Bliss). 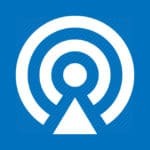 Or visit The Dallas Woman’s Forum Calendar of Events to find other events going on throughout the year. As you can see there is plenty of work to be done and many wonderful things to love about this organization and house. We welcome you to support us in our efforts or if you live in the Dallas area and want to join us, please contact us! We’d love to hear from you if you have stories about historic homes you helped save. Leave us a comment below or give us a call at 214.751.2304. 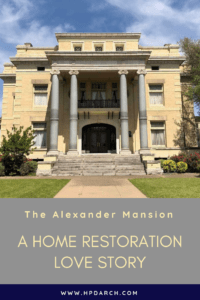 To listen to Holly and Laura discuss the Alexander Mansion restoration process, please visit our podcast page and show notes for Episode 76: Saving the Alexander Mansion.